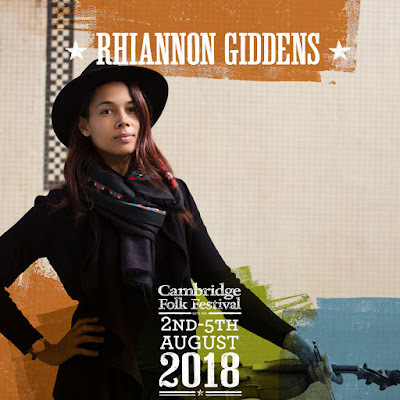 Cambridge Folk Festival is delighted to announce the names picked by this year’s Guest Curator, Rhiannon Giddens. The highly acclaimed Americana pioneer has chosen an eclectic collection of talent from both sides of the Atlantic to perform at the Festival this year. American folk singer Peggy Seeger needs no introduction. The legendary artist will be showcasing a long and varied career with her appearance at Cambridge Folk Festival. From her solo albums, recording and touring with her family including her late half-brother Pete Seeger, to song writing with her late husband Ewan MacColl, Peggy is arguably the most powerful woman in folk. rapidly attracting critical acclaim. She was awarded ‘UK Artist of the Year’ at the AMA UK Awards last year. One of the youngest performers in the Canadian old-time and folk communities, 22 year-old Kaia Kater proves that banjos aren’t just for hillbillies as she takes the instrument to new heights. She plays the banjo, dances, sings and has her own unique take on Appalachian and Canadian folk music. Kaia is a diverse traditionalist, having quickly gained attention as one of the most promising young performers in the North American folk world. Since teaming up as Birds of Chicago in 2012, Allison Russell and JT Nero have developed a fervent following thanks to their dedicated touring schedule. Performing around 200 nights a year with their “near-perfect Americana”, they tap into a world of Americana, Roots and Rock n’ Roll Poetry sure to be a hit with the Cambridge audience this summer. Amythyst Kiah is described as a ‘Southern Gothic’ alt-country blues singer/songwriter from Tennessee, whose stage presence and powerful vocals echo her eclectic influences spanning decades. Drawing heavily on old time music (Mississippi Sheiks, Son House, Jimmie Rodgers, Ola Belle Reed, Carter Family), inspired by strong R&B and country music vocalists from the '50s-'70s (Big Mama Thornton, Sister Rosetta Tharpe, Mahalia Jackson, Dolly Parton, Patsy Cline, Loretta Lynn) and influenced by contemporary artists with powerful vocal integrity (Adele, Florence and the Machine), Amythyst Kiah is not to be missed.